Possession of a controlled substance with the intention of distributing it or selling it is, under both federal and Florida law, deemed a felony offense. Defendant had knowledge of the substance. Substance in question was in fact a controlled drug as defined in F.S. 893.03. Defendant possessed substance (either actual or constructive possession). Defendant intended to sell, manufacture or deliver that substance. “Possession” can be either actual or constructive. Generally, the state has to show defendant had personal charge of or control over the drug – even if it wasn’t directly on his or her person. In the majority of these situations, defendant doesn’t have any intention of selling the drugs he or she possesses – and prosecutors know it. But they will tack on the “intent to sell” in ordinary possession cases in an effort to stack the deck against the accused. The idea is to strong-arm the defendant into an unfavorable plea deal. In many cases, a good criminal defense lawyer can aggressively push back and successfully negotiate a favorable plea deal on a much lesser charge, if the case isn’t dismissed outright. Large sums of money either in or around the vehicle or property where the drugs were found. Packaging, baggies found in or near the vehicle or property, consistent with drug sales. Presence of items like testing kits, rolling papers, mixing devices, scales and other kinds of paraphernalia often associated with sales of controlled substances. Guns in or around the vehicle or property where drugs were found. Confession by the accused or associates of the accused of intention to sell the drugs discovered. The kind of drug found and the amount of it. Of course, none of these elements singularly (except maybe a confession) is necessarily fool-proof evidence that an individual intended to sell the drugs found. But that doesn’t mean prosecutors won’t attempt to push that narrative. If the drugs in question were found in excess of “trafficking amounts,” then a drug trafficking charge will likely be forthcoming, regardless of the other evidence. But “intent to sell” is a way to bolster simple possession charges even when the amounts of the drug discovered are relatively low. F.S. 775.082, F.S. 775.083 and F.S. 775.084 spell out the statutory penalties for possession of controlled substances with intent to sell in Florida. 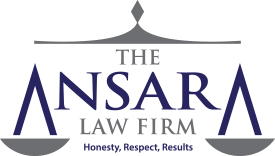 Generally, possible penalties for possession of a controlled substance with intent to sell are broken down by the schedule classification of the drug. Schedule I and some Schedule II substances: Second-degree felony, punishable by up to 15 years in prison, a fine of up to $10,000 or both. Schedule III, Schedule IV and some Schedule II substances: Third-degree felony, which carries up to five years in prison and/or a $5,000 fine. Schedule V: First-degree misdemeanor, which carries up to a one-year jail term plus a maximum $1,000 fine. These penalties are significantly enhanced from the base-line for simple possession charges, which is why they are a go-to for prosecutors. Punishments can be enhanced by a number of mitigating factors, including whether a weapon was present or involved in the commission of the offense, whether the alleged incident occurred in proximity to a school, whether offense occurred in furtherance of gang activity and if offender has any prior criminal convictions. Repercussions for these crimes are quite serious, so it’s imperative to contact an experienced Fort Lauderdale defense attorney. There are often many strong factual defenses available upon which to contest such a charge, which usually can be amended to simple possession. If the state is unable to even prove the basic elements of possession, the entire case is likely to result in dismissal. Sometimes, there is also the opportunity to challenge the legality of evidence obtained per certain search and seizure methods of law enforcement. We may also challenge “intent” assertions – such as the presence of a lot of cash or a gun nearby – as purely coincidental, and not indicative of the intention to sell.